Sometimes you have to wonder about equity in the beer industry. Large, well-funded breweries have significant advantages over their smaller counterparts. Besides efficiencies in production and distribution, they have the means to launch big promotional events, for example. Such is the case tonight, when Ballast Point celebrates 20 years with a tap takeover at Belmont Station. This is no ordinary tap takeover. The folks from San Diego will be occupying 15 of the Station's 23 taps. A normal tap takeover would typically consume 4-7 taps. "You can't celebrate a milestone like this one with just a few beers," says Lisa Morrison, Belmont Station owner. "So we'll have 15 across a pretty good range of styles. There will be something for everyone." 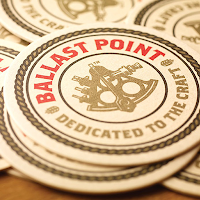 You may know Ballast Point is one of fastest growing, most vibrant brands in the land. They've only been in Oregon for a few years, but their growth has been off the hook here and elsewhere. That growth trajectory leapt upward last year when the company was acquired by Constellation Brands for a cool billion bucks. They've mostly gotten a pass from the same craft beer community that crucified 10 Barrel, Elysian and others that have sold out to big beer. Part of that is timing. Ballast Point sold in late 2015, a time when the craft beer community was feeling numb due to prior acquisitions. There's also the fact that Constellation, which owns and markets Corona, Pacifico and Modelo, doesn't own distributors, as is the case with Anheuser-Busch. Whatever differences of opinion exist regarding Constellation and Ballast Point, they haven't mattered in the least. At a time when the overall growth in craft beer volume is slowing nationally, Ballast Point has been hitting it out of the park. Sculpin IPA is one of the hottest brands in industry growth stats and several others are also doing well. Even in Oregon, Ballast Point has done well. It's hard to figure. They came late to one of the most competitive craft beer markets in the country with products that are, frankly, overpriced. Yep. In case you don't know, a six-pack of Sculpin will set you back $15. The other brands in their portfolio are similarly overpriced. But it hasn't mattered. The stuff sells. And sells. Part of that is the beers. They're solid. And not just Sculpin, which is so popular it has spawned a brand family with different fruit twists. 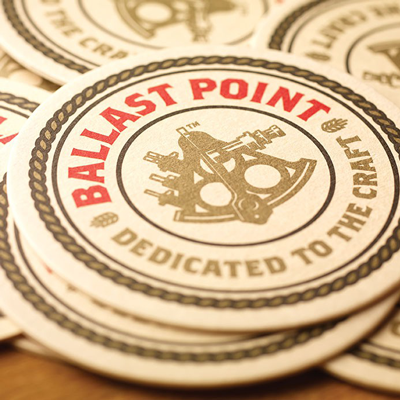 Ballast Point also has a strong brand identity, leaning on its connection to Southern California beaches and sunshine. Constellation paid big bucks for Ballast Point because it understands the value of place in a brand's identity. See Corona. The party is the only one of it's kind in Oregon, Morrison says. "We were honored when they asked us to host because their beers have done well and we like them." The official celebration runs 5-7 p.m., but many of the beers are on now and some will be on after the event. Should be fun.